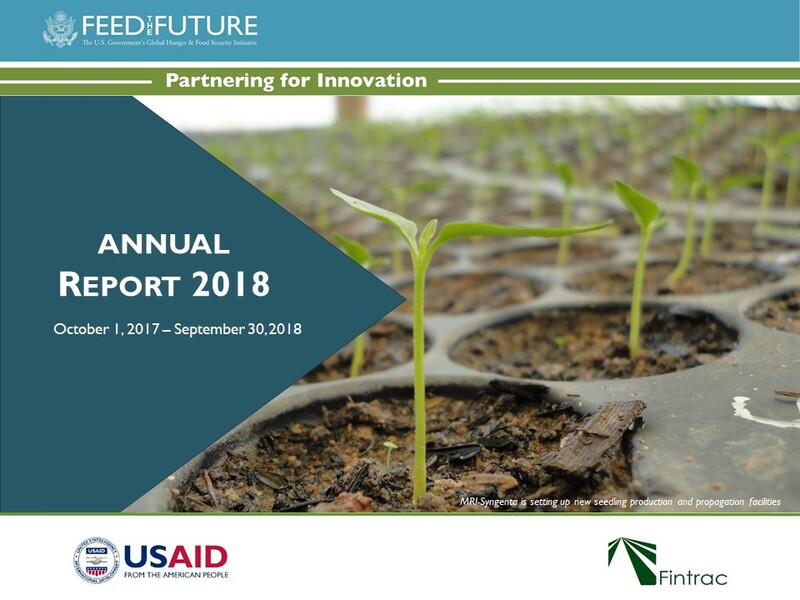 Feed the Future Partnering for Innovation is made possible through the United States Agency for International Development (USAID) and managed by Fintrac. Carefully selecting projects for their potential impact and profitability. Providing in country expertise and connections with local agribusinesses. Identifying and engaging the best partners in every link of the supply chain. Addressing barriers to commercialization through acceleration services such as in country trainings and workshops. Supplying business and technical support such as market research, affordability and financing options, and networking opportunities. Sign up here to get our news, resources, and updates! Fintrac, a woman-owned and US-based consulting company, develops agricultural solutions to end hunger and poverty. For almost three decades, Fintrac’s work has increased incomes in rural communities and strengthened food security across Africa, Asia, and Latin America. Fintrac does this by developing interventions to improve market system competitiveness and increase the participation of smallholder farmers. Fintrac manages Partnering for Innovation and employs the team that runs the program on a day-to-day basis. USAID is the lead US government agency that works to end extreme global poverty and enable resilient, democratic societies to realize their potential. USAID funds the Partnering for Innovation program, and the program closely works with USAID Missions to carry out many of its 50 partnerships.